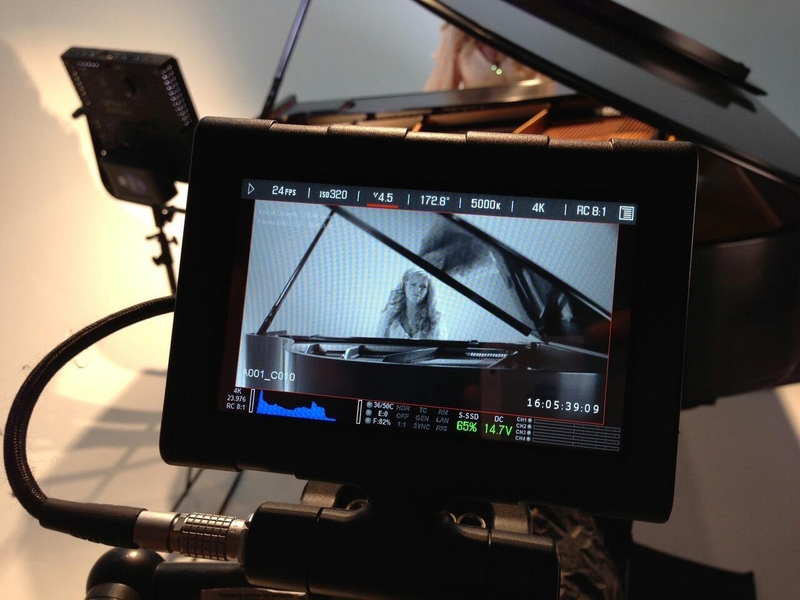 I just completed a three-day film shoot for my official debut music video, for the song “Requiem For a Dream”. This song is track #14 from my new album Illumination, and it is my rendition of the popular soundtrack piece by Clint Mansell. The whole experience was just very positive for me – and I feel so lucky to have been able to work with all of the talented people that I did on this project. 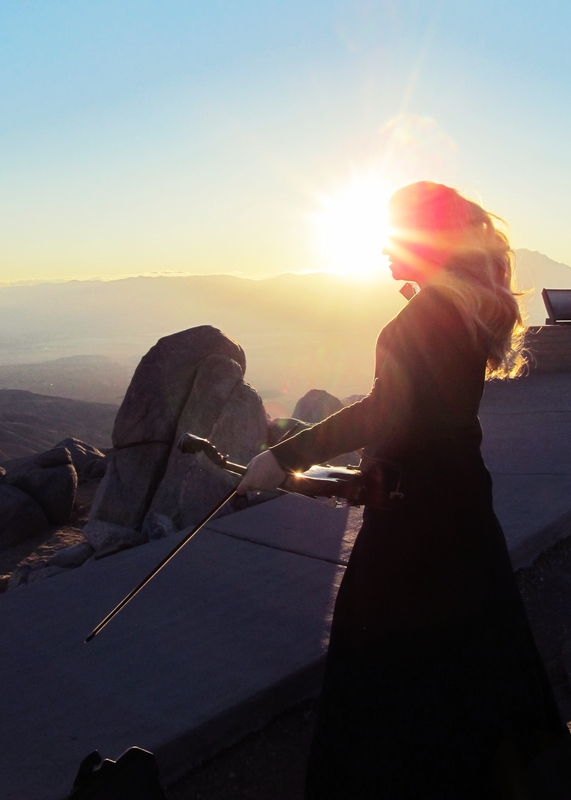 Ryan K. McNeal (writer/director for “Minuet”) came up with the concept for the video, based on a quote by Dante Alighieri – “Beauty awakens the soul to act.” from his Divine Comedy. You would think that finding a piano in Los Angeles would be pretty easy right? 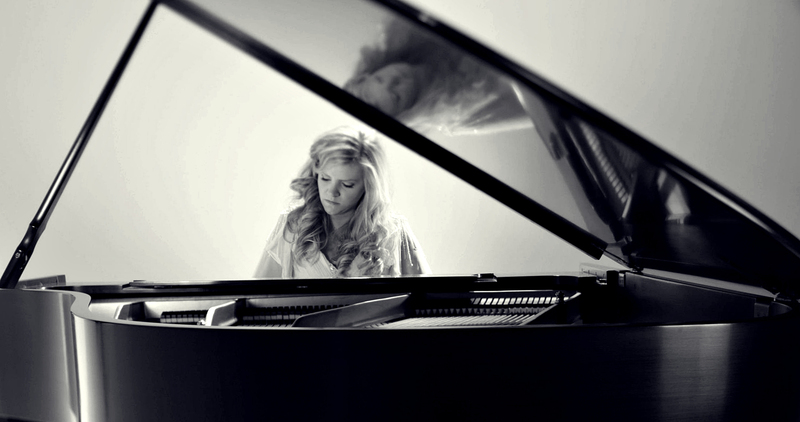 It took an enormous amount of time to find a piano for this shoot. Being that we didn’t have a very large budget for this video, we initially tried to see what we could get for free or on trade. That route quickly met a dead end. Next, we started looking into piano stores – because usually stores have recital halls. Most of the stores we spoke with either did not have the availability to accommodate a film crew, or their recital halls were not, um, “pretty” enough to look good on film. 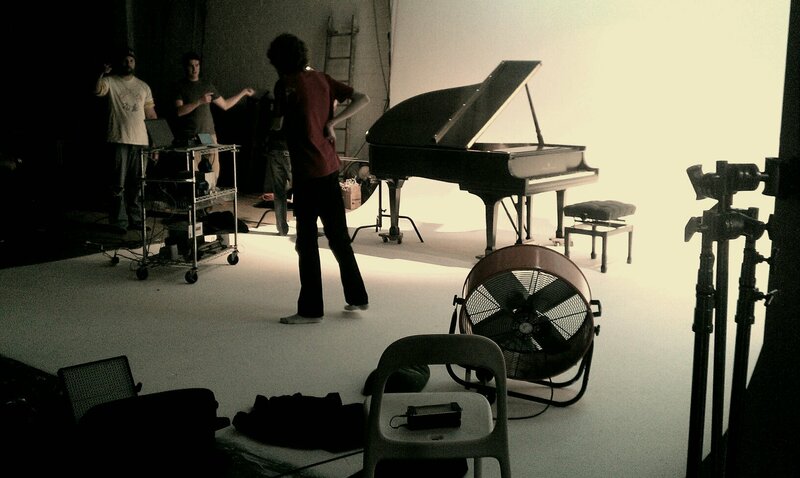 We did end up finding Kassimoff’s Pianos in Hollywood, who agreed to let us shoot in their store. 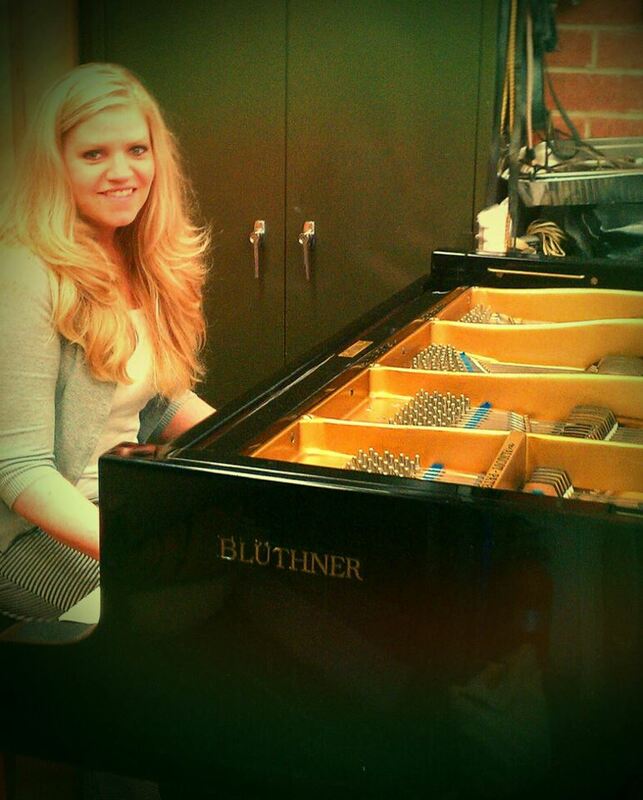 They are the Bluthner piano dearlership (one of the only ones in America), and were very kind and hospitable. However, once they realized that we would not actually be recording live audio for the video, they had to back out due to a conflict of interest (my album was recorded using a Fazioli, and they did not want a Fazioli sound dubbed over their Bluthner pianos). Understandable. But yet again, back to square one. I literally contacted every piano store in the LA area, as well as every concert hall, night club, or restaurant with a grand piano. Most people did not return my emails, and the ones who did wanted too much money. I even put an ad out on LA Craigslist, as well as the user forums on the LA chapter NARAS board (Recording Academy). It seemed that as soon as people heard the word “film” or “video shoot”, the cost went WAY up. It was only a few days before the shoot, and Ryan and I were really stressing about where we were going to find a piano at. Ryan had been scouring Craigslist for a free or cheap piano as well. 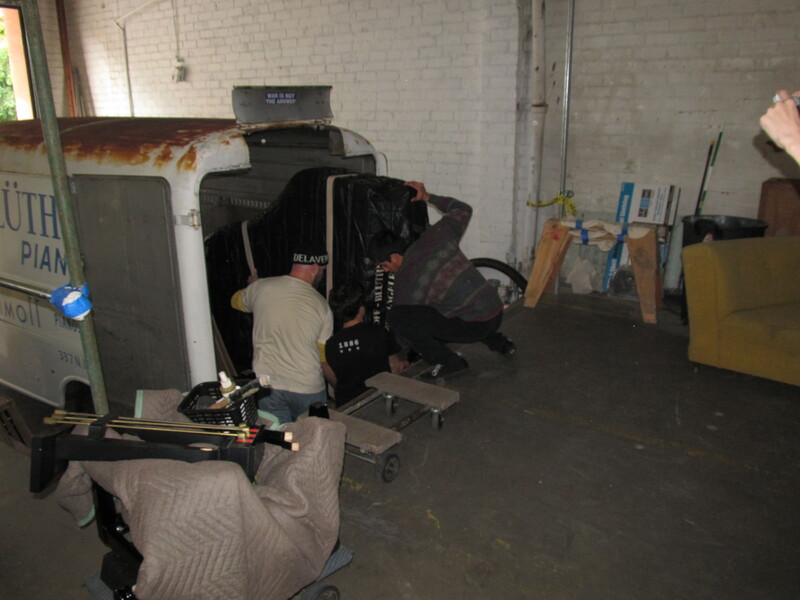 We had found a 6 foot grand that someone wanted to give away to a non-profit group, but the paperwork to take it off their hands would have taken longer than we had. We found another upright grand on Craiglist, but when Ryan went to go take a look at it he found that the majority of the keys stuck and could not play. I could go on and on about the various pianos we thought we found, and then didn’t – including the rock star I met (friend of a friend) who offered his 9 foot Young Chang piano that was in storage (that didn’t work out either). I had a slight hope in my mind that even though Kassimoff’s pianos would not let us film on their Bluthner pianos, that perhaps they might just have another brand of piano in the store we could possibly use. And I also promised Helga (the 80 year old store owner) that I would stop by for a visit to come play their beautiful pianos. Afterall, I had never played on a Bluthner before. Glen and I spent three hours at Kassimoff’s talking with the lovely store owners. They were such kind people – all the way here from Germany and even had a quaint little home in the back of their shop. Kyril offered us German cookies and cranberry juice, and told us all the stories of the people they had sold Bluthner pianos to over the last 50 years (their wall was full of celebrity photos, including some presidents of the United States). I also got to play a very interesting 9 foot Bluthner that was hand-picked by Marvin Hamlesch himself (see photo below). At the conclusion of our wonderful visit, Helga was kind enough to allow me to use the ONE and only grand piano in their store that was not a Bluthner. It was a little 6 foot Steinway grand. 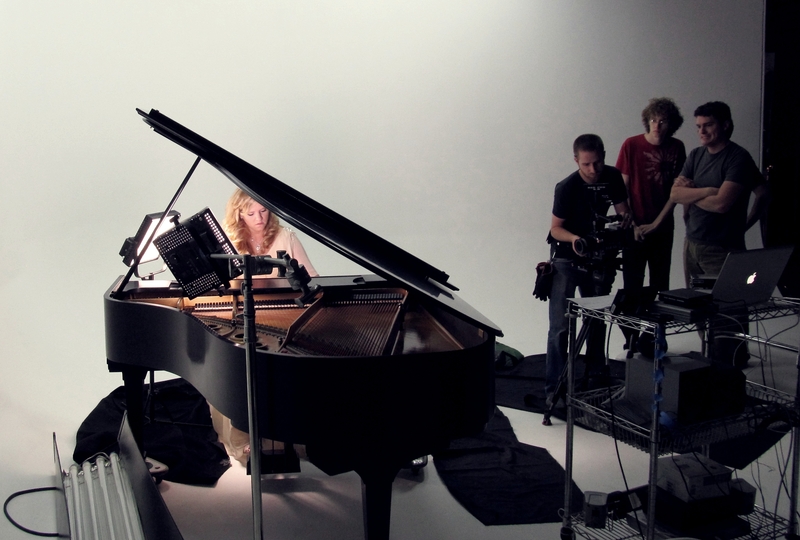 And for a discounted price, they delivered the Steinway Friday morning to our video shoot at the soundstage. I have to say, once we finally had that piano, a HUGE stress was lifted from all of us. 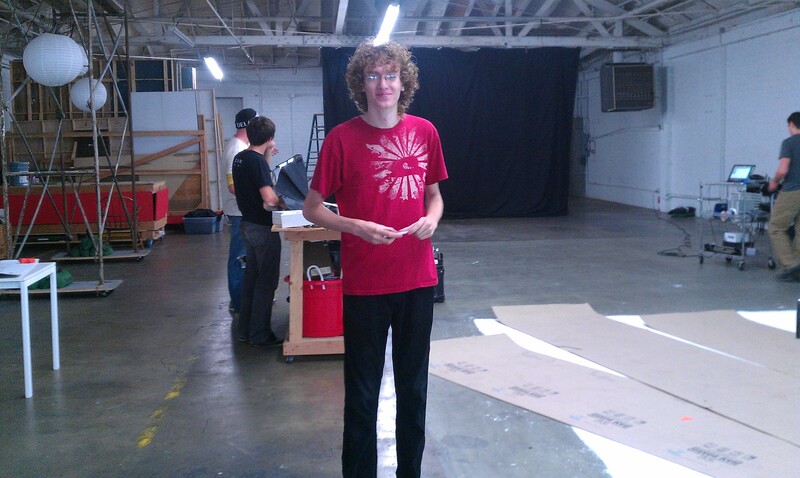 So, Friday came and we all met at a soundstage in Korea Town in Los Angeles. 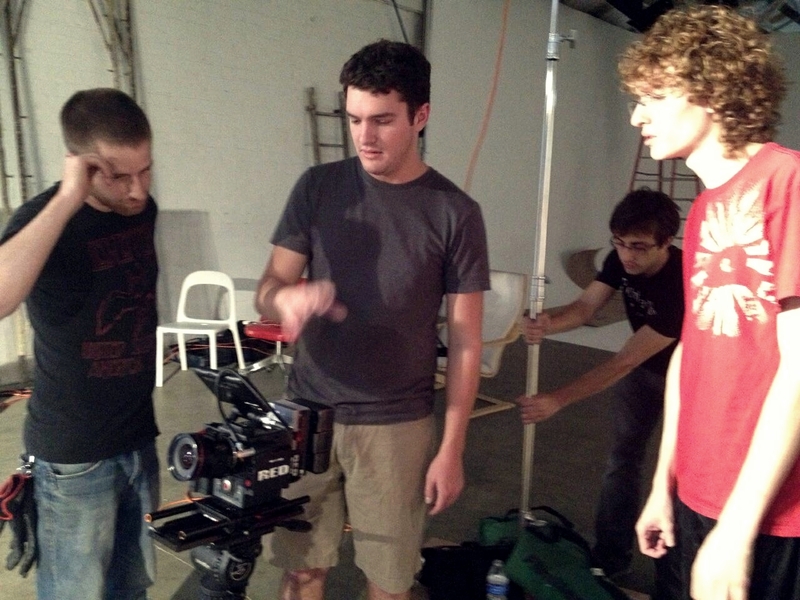 Ryan happened to find this independent owner who rented his stage out to indie filmmakers for a screaming deal. 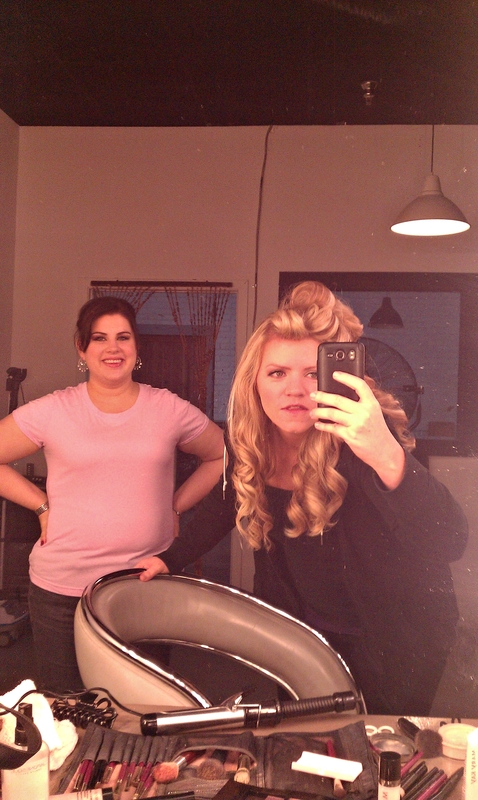 Next, Noelle (my makeup artist) and I headed to the dressing room for hair and makeup. Not complaining, but the morning came particularly early since we had all been out late the night before for the Hollywood Music in Media Awards. But since our film “Minuet” actually WON the award, we were all in high spirits (the crew doing my music video was the same crew that filmed Minuet). I hadn’t eaten since like 7:30 a.m., but I didn’t want to risk spilling on my dress and so I refused to eat until we finished filming my scenes. When we were finally done, I don’t think I have ever eaten a turkey sandwich so fast in all my life. Here is the dress that I wore for the piano scenes – it was absolutely gorgeous and perfect for what we were trying to do with the fan blowing on me, and creating this ethereal scene. Though we really had to pin me into that thing! 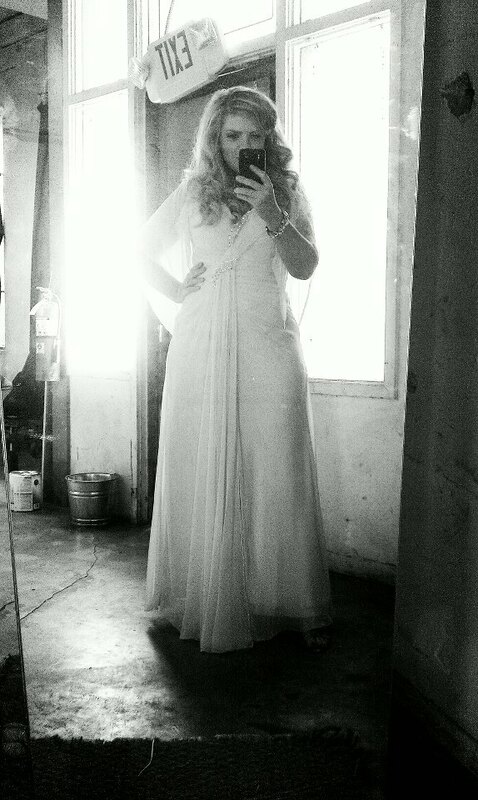 Just to make sure sleeves weren’t coming down, or things weren’t poking out – I think we used like 20 safety pins on me. She’s right. 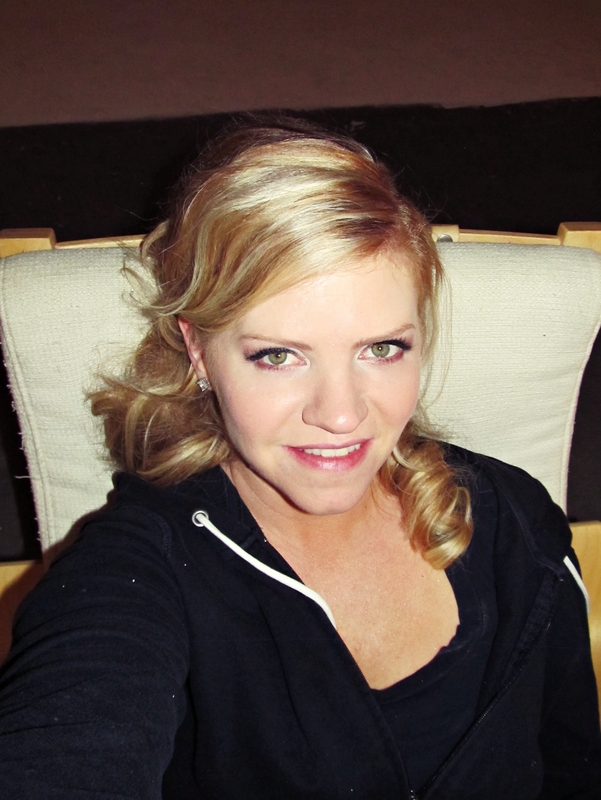 I’m either in a ballgown or sweat pants. That is how I roll. Here’s me totally content because a) I’m in my comfy outfit, and b) I finally have food in my tummy. 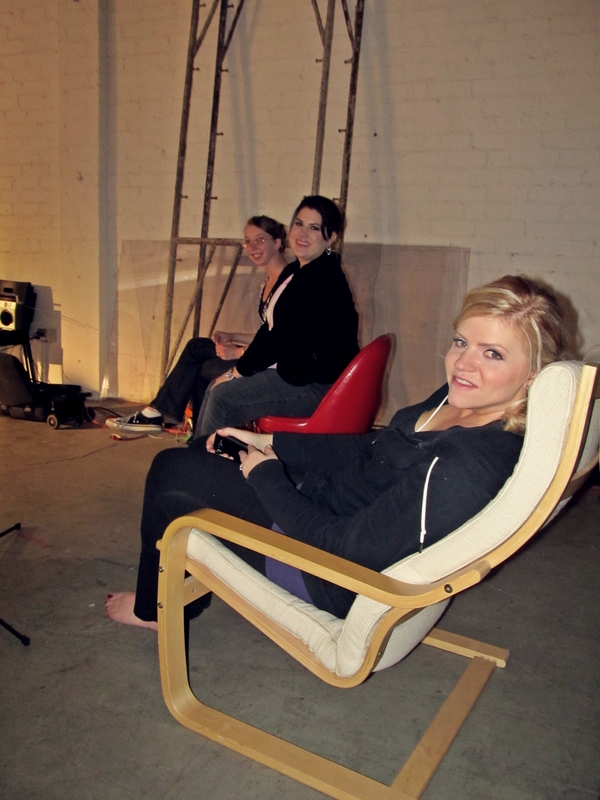 I was able to sit and relax and watch Ivorie as they filmed some of her dance sequence on the black screen. She is just one of the most graceful dances I have ever seen. 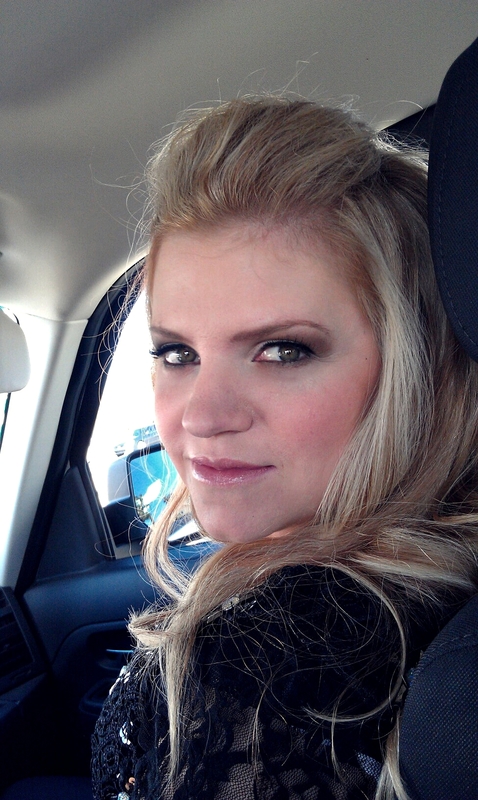 She most recently finished up dancing for Cirque de Soleil in Las Vegas. 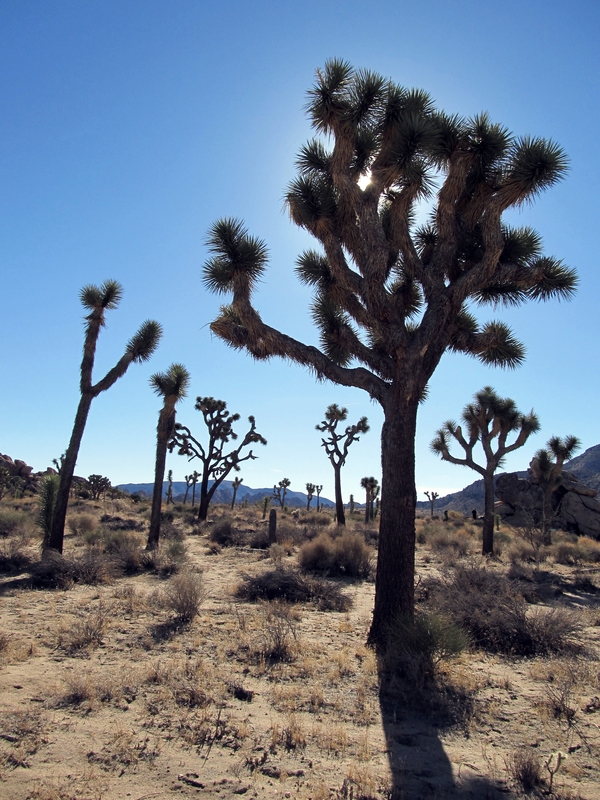 Will, Noelle, and I left the film shoot to go back to our hotel to get a decent night’s sleep, knowing that we had to be up and ready to head to Joshua Tree National Park by 5:30 a.m. the next morning. Once we got to the park, we checked into a Motel. Funny part about this is we were worried we would not be able to find a motel so early in the day since check-in is usually not until the afternoon. However, they let us check in early – and this was after they said they had no rooms available. I was a bit confused, so I asked my husband what type of miracle did he pull to get them to allow us to have a room and so early in the day? I busted up laughing. Rock star? Um, sure why not. Wrong genre but whatever. 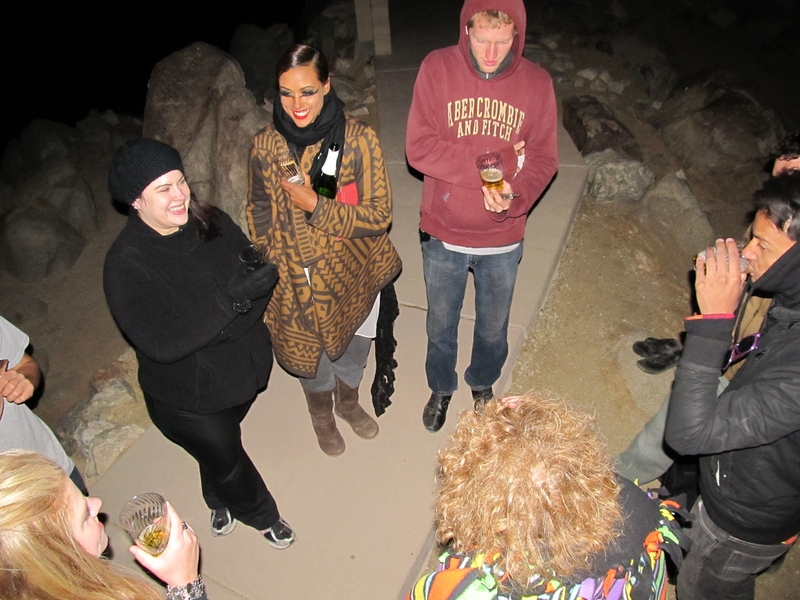 As soon as we got our room, Noelle, Ivorie, and I began hair and makeup all over again – this time for the desert scenes. 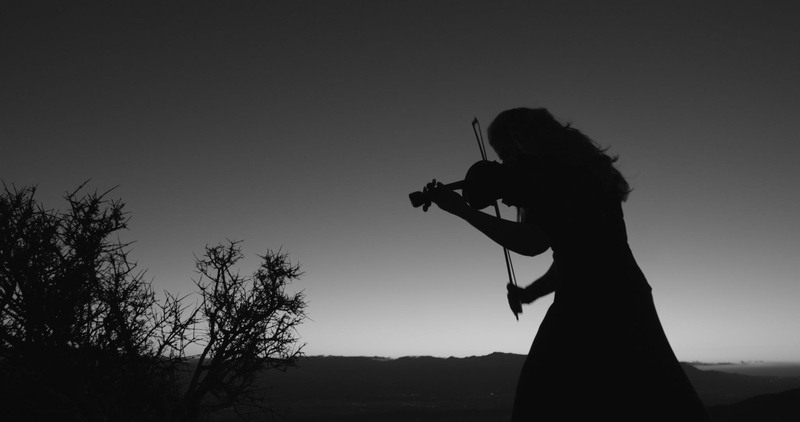 As for me, I had a more dramatic look since I was doing a black dress for the desert shots (the video was filmed in black and white, so everything we did was for contrasting purposes). 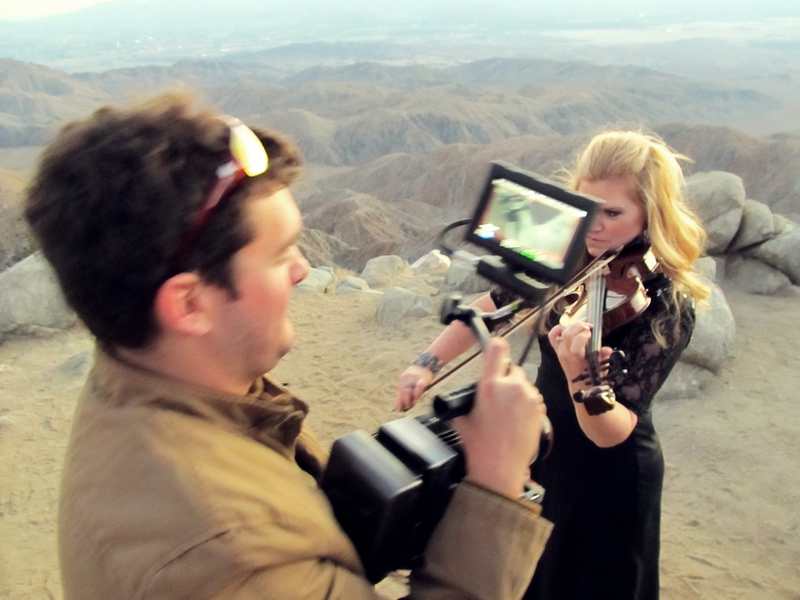 The hardest part about shooting out in the middle of no where was the playback for the music. Ryan had originally brought his ipod with a bluetooth – but then realized that they weren’t compatible or something. So I ended up using my little workout MP3 player and earbuds. 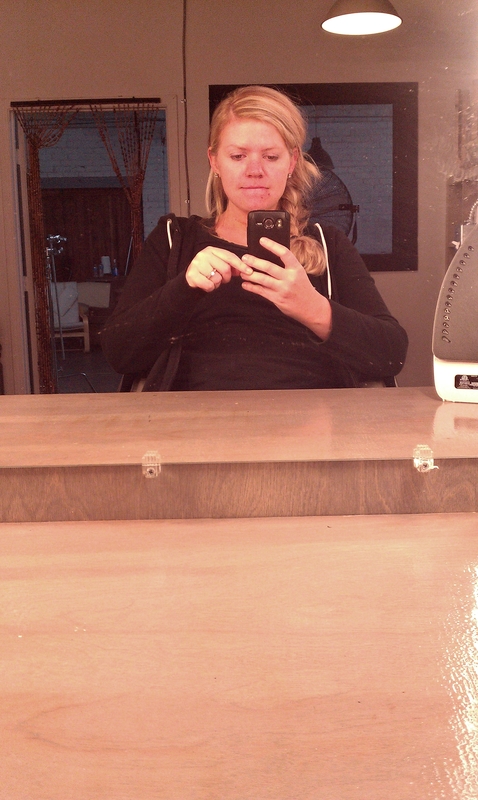 They wrapped the earbuds underneath my hair and down the back of my dress so you could not see them in the shots. 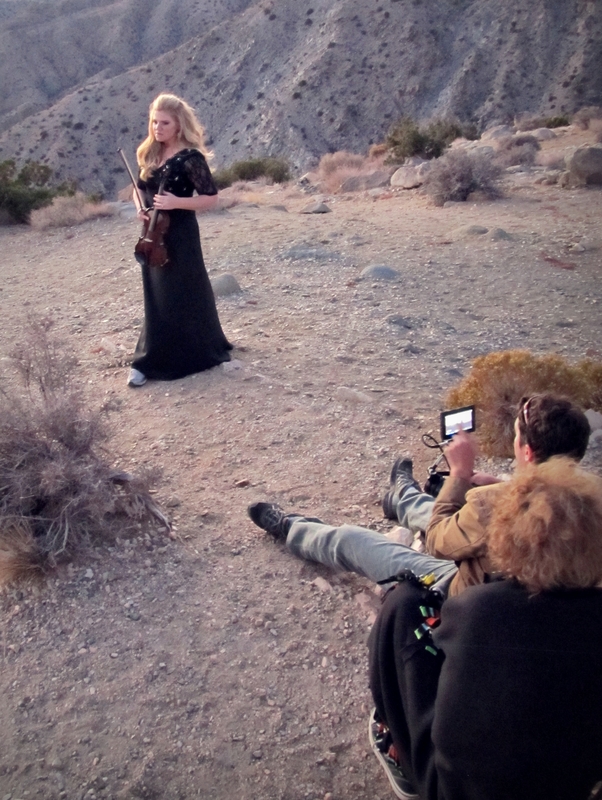 However, the hard part was that my MP3 player was not remote- so every time they called action for a shot, Alex (one of the crew) stood behind me and pushed play on my MP3 player and hurried to tuck it into the back of my dress, and then practically leap down off the rock to get out of the shot. 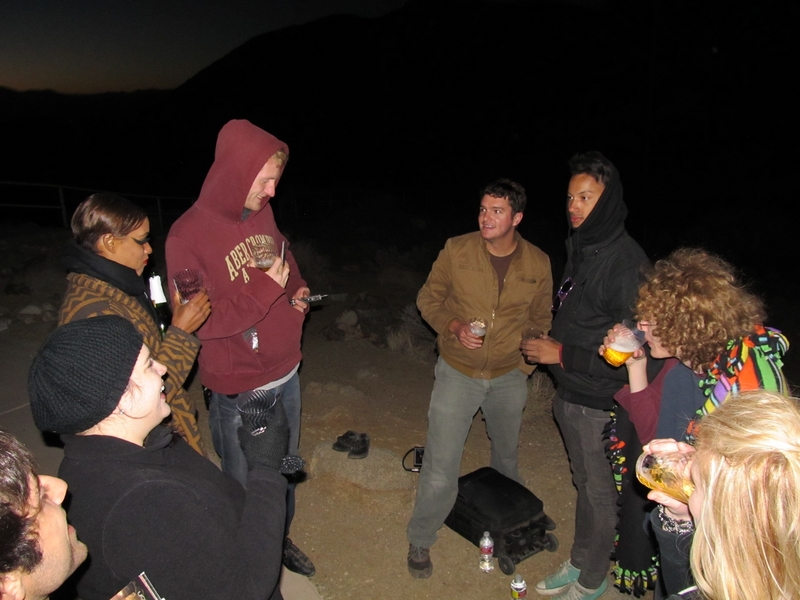 After we finished up the shoot that evening, we all met up later that night to go to Yucca Valley’s tiny movie theater to see “Breaking Dawn Part 2”. Okay, so watching that movie with a bunch of film people was hilarious, I just have to say. Justus (our producer) said wide-eyed “I’m NEVER letting you take me to another movie ever again.” (It was his first Twilight movie experience). The next morning was another early morning, as we had to be up at 4:30 a.m. for hair and makeup, in order to be ready to leave by 7:00 a.m. to head out into the desert again. 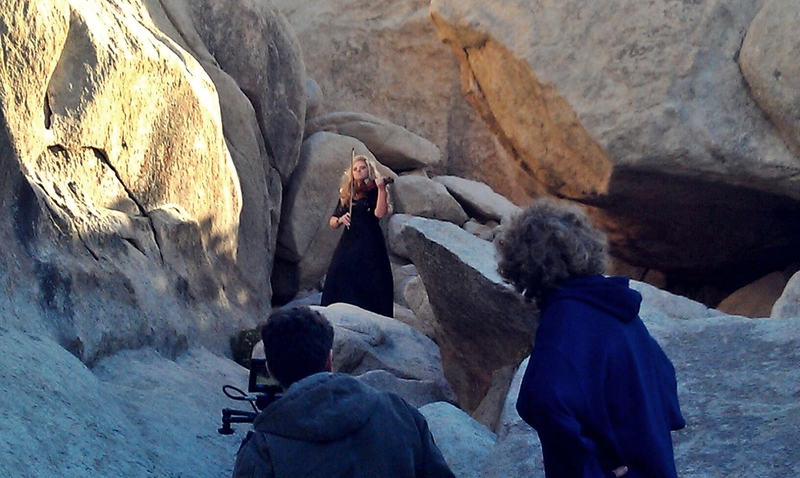 Hiking through the desert in flip-flops and a long black dress was not the easiest thing to do. Fortunately I am a very outdoorsy girl and didn’t mind being out there – it was just the logistics of it all! While Ivorie was getting her dance scenes filmed, I was being shown where my next filming location would be. It was this rock platform at the top of this small mountain structure of rock. “I’m going to be standing up there? ?” was my reaction. So my husband, Will, climbed to the top of it first to test it out and to find the best possible way for me to climb up it. You need to just know something right now – I’m afraid of edges. Like CRAZY afraid. I’m not afraid of heights, but I am afraid of edges where I can fall. If there is no rail or guard to hold me back from falling, then it just royally FREAKS. ME. OUT. And they say that if you have a fear, you should just face your fear head on to get over it. Whoever said that is an idiot because it does not work. 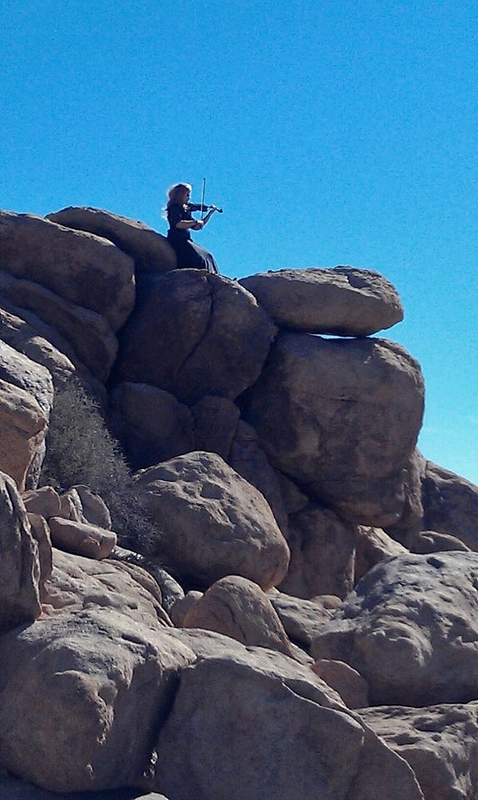 It took me a long time to climb all these huge boulders in a dress (someone else carried my violin for me). I was in my flip-flops as well. I finally reached the top where I was supposed to be standing to play my violin, and there were drop-offs on either side of the boulder. It took me like ten minutes sitting there on the rock before I could muster up enough bravery to try standing on it. Will (an experienced mountain climber) was there with me the whole time and just reminded me to breathe, and pause to get used to the heights and then climb up a little more. Yeah, it wasn’t working so much. My heart was still pounding and I had was not feeling so great. This was Will saying to me – “Smile for the camera, honey!”. He did not get a smile. 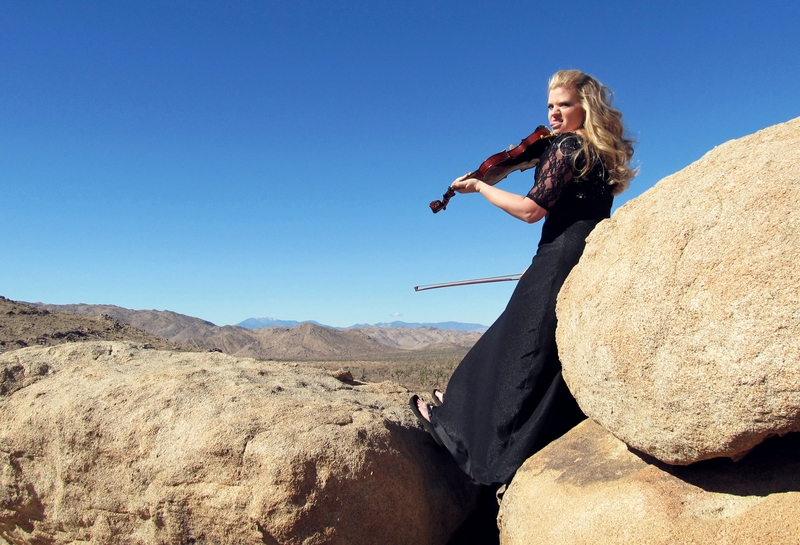 I finally was able to get myself to stand up on the ledge, get my footing, and put my violin up to my chin. And then Will hopped down off the ledge and left me there alone and it hit me, as I looked around, where I was…and WHAM I started feeling panicked and nauseous and dizzy. I felt my head starting to spin and realized if I didn’t sit back down I would probably fall right off that rock. And that is when I realized I was not going to be able to do this, and tears started welling up out of my eyes and I started to cry a little bit. 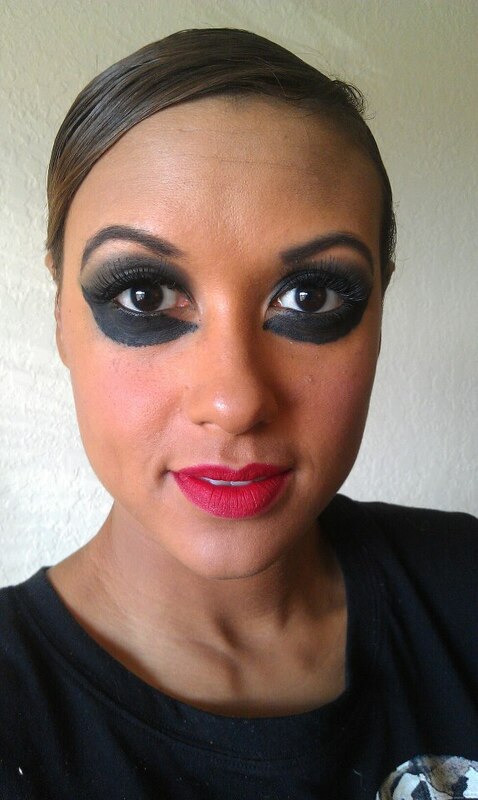 “I’m going to ruin my makeup, gosh darnitt!” I thought. We eventually found a spot for me where I could lean against a boulder instead of stand. I still felt dizzy, but at least I felt secure. This is a shot that Noelle took from below – and probably very similar to what they got on film. 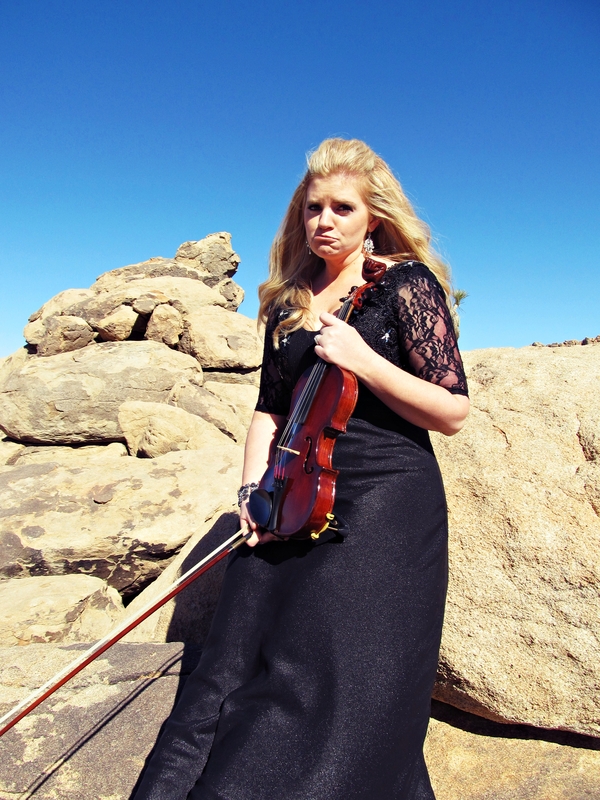 I totally look like the Fiddler on the Roof – haha. The rock that is directly out in front of me is the ledge where they wanted me to stand. It doesn’t really look that high up from this photo, but trust me – it was. 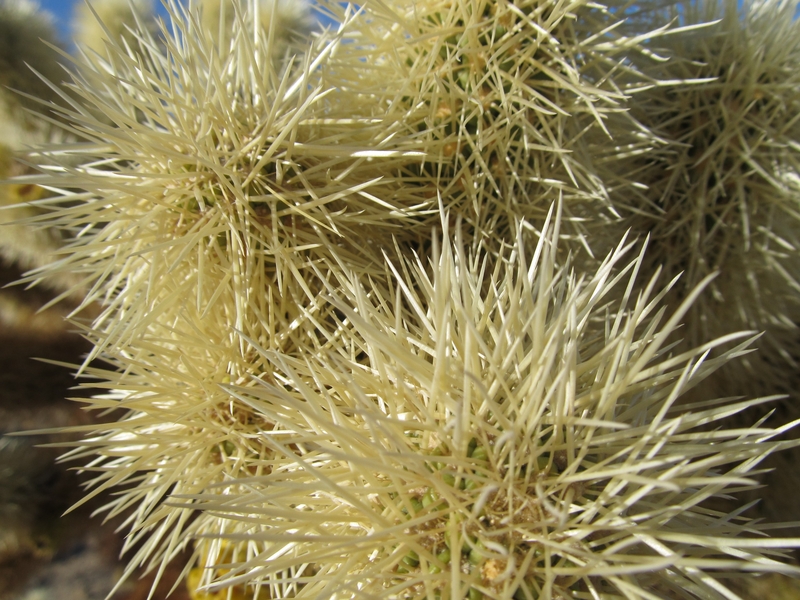 After this location, we went to another place where they had these crazy looking cacti called “Teddybear Cactus”. Some of the crew quickly learned that if you touch it, it has these tiny little daggers that embed in your skin like a fishhook – and if you try to yank them out it pulls your skin out from the underneath layers. We were removing these sharp little thorns with pliers just so we wouldn’t have to touch them with our bare fingers. 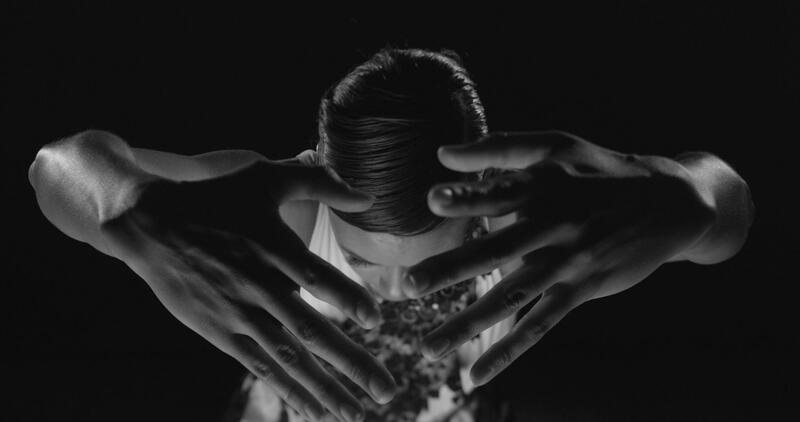 But they made for super cool shots for the film …. I just felt bad for Ivorie, because she was dancing and twirling around these things! At a couple times, I saw her get inches away from brushing her skin against them. 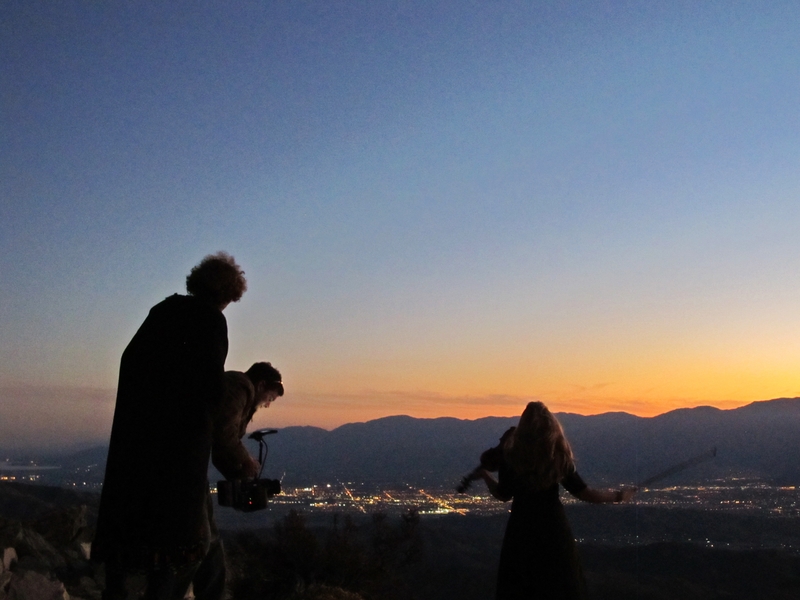 We filmed our last location at a viewpoint overlooking the valley. It was absolutely gorgeous and the guys were able to get some really great silhouette shots. We also had a little bit of a crowd up there who seemed to really enjoy watching us film (we actually had crowds in all the various locations, but the most people were at the viewpoint). All in all, it was an absolutely fantastic experience that I would do over in a heartbeat. Well, except for climbing the boulders – I probably wouldn’t do that again. All of the people on this project were so positive, so professional, and just very talented. The video is expected to be edited and completed sometime within the first couple of weeks in December. Please subscribe to my YouTube channel to be the first to see it when it’s finished. 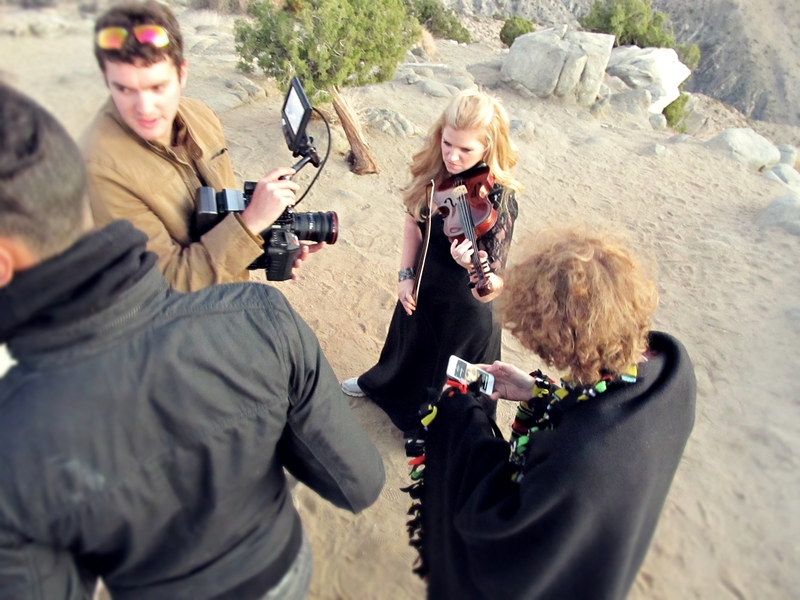 We will also be releasing a behind-the-scenes video once the official music video releases.